We are happy to welcome the participants of the Summer Academy in the Károlyi kastély in Fehérvárcsurgó, the place where family always paid a deep respect for music, and where the collection of records and CDs and music books is developing constantly today. 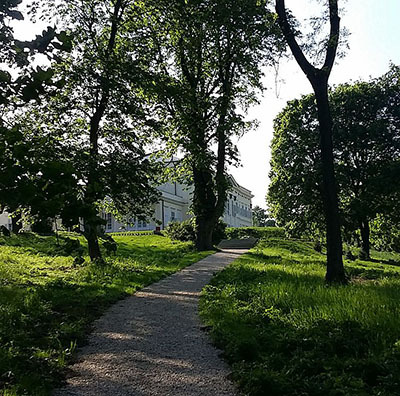 The ideal conditions provided for the Summer Academy and the unusually calm environment will certainly inspire the participants of the Masterclass just as well - as it has all the musicians who have so far been a guest of the Károlyi kastély. The name of the Károlyis, - one of the most well-known historical families in Hungary – has been agglutinated with the most noble purposes such as the support for science and art. The Károlyi kastély in Fehérvárcsurgó, which is a place for several different kind of cultural events is also where we organise the Echo Summer Academy - with the artisitic guidance of Balázs Fülei - between the 11th and 17th of August, 2019. You can relax here after a stressful year; there are no exams, no compulsory pieces or instructions – only making music for the love of it. The environment is just the way every composer dreams it to be – an island far from the noise of the city: truly suitable for artistic work, the quality of which is guaranteed by the names of three teachers of the Liszt Academy in Budapest: Péter Kováts, violinist, István Varga, cellist and Balázs Fülei, pianist. Piano accompanists in string classes: Mária Kovalszki and Imre Dani. Pinetrees older than a hundred years, lindens, oaks, chestnut trees, a small lake, bridges and promenades make up that giant, arboretum-like park in which the classicist style castle – the work of Miklós Ybl and Heinrich Koch – resides. 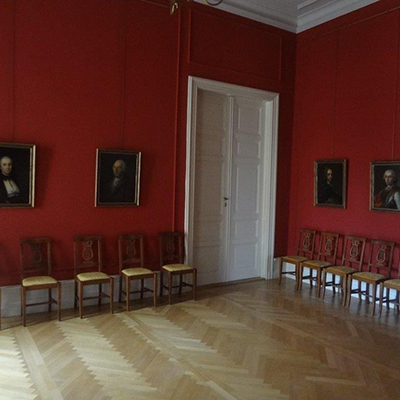 From 1834, the property came to the possession of Count György Károlyi, one of the founder members of the Hungarian Scientific Academy. 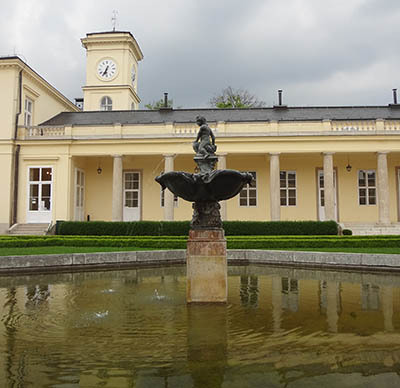 The current trustee, György Károlyi with his wife, Angelica created the József Károlyi Foundation that is responsible for the renovation and current operation of the building and also being a partner of the Echo Summer Academy. 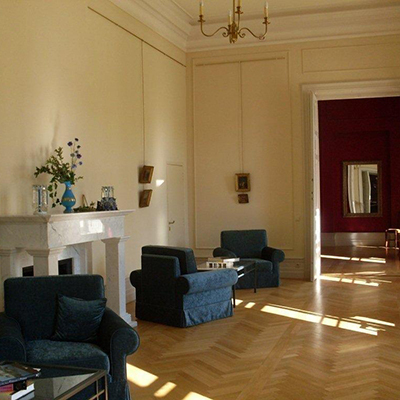 The place, situated only 75 kms away from Budapest – with its halls suitable for peaceful practice, rehearsals, musical salons and concerts – is a perfect location. A real happy island in this fast-paced world. Some of his determinative masters are György Kurtág, Albrert Simon, Sándor Végh and Semyon Snitkovsky, the assistant of David Oistrakh. 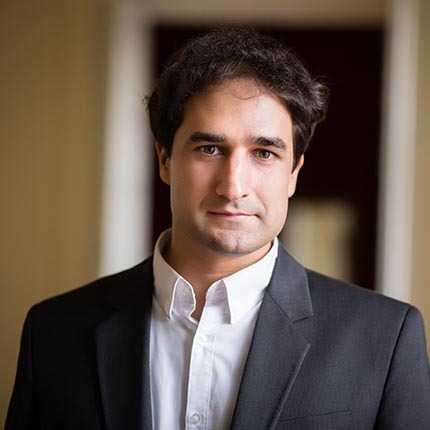 After his years spent at the Liszt Academy, he studied in the United States, then returned to his hometown and established the Mendelssohn Chamber Orchestra of which he has been the artistic leader and soloist for thirty years. He has played on famous stages of Europe and America, also in Ghana and Morocco. The audience of the well known Teatro Colón in Buenos Aires could hear his music just as well as those in the Verdi Hall in Milan. Several radio and TV channels broadcasted his concerts, he is the soloist of more CDs and DVDs released in Hungary and abroad. He has been partners with Tamás Vásáry, Imre Rohmann, Miklós Perényi and Ilona Tokody – just to mention a few names. 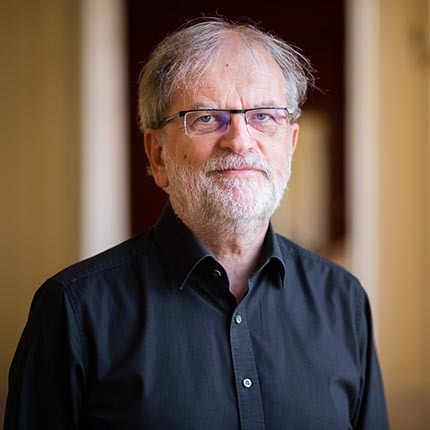 Besides his career on stage teaching has always been important for him: he is a teacher of the Dohányi Conservatory in Veszprém and the Liszt Academy in Budapest, he gives courses around Europe and for years he has been leading the Auer Youth Symphonic Orhestra established by him. His artistic work has been rewarded with The Golden Cross of Merit of the Hungarian Republic and the Bartók-Pásztory Prize. He was born in Subotica, studied at the Liszt Academy of Budapest, the Academy of Music in Belgrade and the Conservatory of Paris during his wanderer years. He returned to his homeland as a teacher, taught at the Academy of Music in Belgrade and Novi Sad. 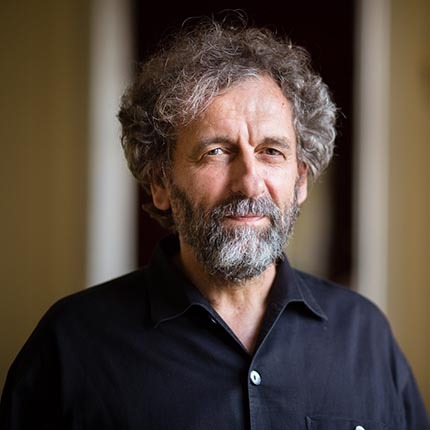 The establishment of the chamber orchestra Camerata Academica and the Goldberg String Trio are both connected to his name, and have been known as some of the most famous orchestras of ex-Yugoslavia. He organised monumental international chamber music festivals as the artistic director of the Novi Sad Music Festival, and also did several concerts meanwhile. Significant composers wrote pieces for him and he won the prize of the Association of Yugoslav Composers. He gave concerts at the most famous halls – such as at the Wigmore Hall of London, the Salle Gaveau in Paris and the Rahmanyinov Hall in Moscow. He regularly holds masterclasses in Hungary, Croatia and France. He moved to Hungary in 1999, he teaches cello at the Liszt Academy at the moment. His permanent chamber partner is Gábor Csalog pianist, with whom he regularly gives concerts in Hungary and abroad. A pianist with Liszt Prize. Graduated at the department with the biggest history of the Liszt Academy in Budapest, studying from the fifth generation of Liszt’s students. He has more than thirty piano concertos in his repertoire, all the concertos of Beethoven, Brahms and Bartók among them. He has been one of the most employed performer of the Liszt Memorial Year in 2011. He worked together with several Hungarian and foreign symphonic orchestras, he gave solo and orchestra concerts on stages like the Konzerthaus in Vienna, the Concertgebouw in Amsterdam, the Kioi Hall in Tokyo, the NCPA in Mumbai and the Carnegie Hall in New York, where he debuted in 2008 with his solo recital. He is in contact with more Hungarian composers, series of premieres and radio records are connected to his name. His latest CD was released in 2015, on which he plays pieces of Beethoven, Brahms, Debussy and András Gábor Virágh. He has been teaching at the Academy of Music since 2012 and has been the Head of the Department of Chamber Music from 2015. He has given masterclasses in China, India, Texas and in Israel, at the Tel Aviv University. We are expecting those violinists, cellists and pianists to the masterclass who are not only interested in the literature of their own instrument and the solo performance, but would also like to play music that is coming to life from the new knowledge collectively, as chamber music – something close to the heart of all the three professors - is going to have an important role besides the four classes with individual instruments at the Summer Academy. The hierarchical bounderies - so common during the year - won’t be present here, and there will be a chance of chamber performance and concerts together with the teachers. Of course, the Summer Academy will try to make use of the possibilities of the environment not just for professional purposes – here is a teaser, one of the several programs: wine tasting night for the participants of the course, in one of the most temptating wine cellars of the region. Professors of the Echo Summer Academy hold special lectures about interpretation and instrumental playing from the view of the active musician. During the Academy, a special lecture will be given about stage fright, causes and solutions, held by a mental hygiene therapist. Moreover, the academy offers management consultations for the participants. The three professors of the Echo Summer Academy give an opening concert on 11 August, 2019, 7 PM. There are many performing possibilities for the participants during the Summer Academy. We organize concerts for all participants, they can play together in different formations, also together with the professors. Coffeeconcerts at 3 PM on 14, 15, and 16 August. At the end of the Echo Summer Academy the students take part in a closing concert and a ceremony after, organised by the Károlyi Foundation. On the other days of the Academy different workshops and roundtable-discussions await the participants with topics about the musical world. We ask you to transfer a 200 Euros deposit after we had confirmed your participation. H-2600 Vác, Edison u. 3.